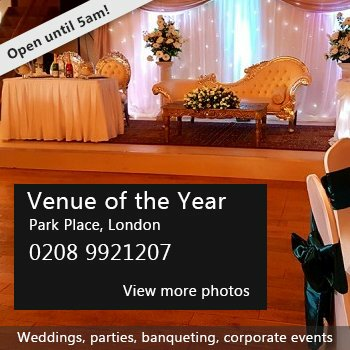 Grand Sapphire is located in the heart of South London, it is a new built fully modern luxury hall that can seat up to 1500 guest in banqueting style. Grand Sapphire is an ideal venue for weddings and conferences. There are three suites, the smallest can seat up to 250 guests, the second one can hold 600 and the biggest hall can accommodate 800 guests easily. 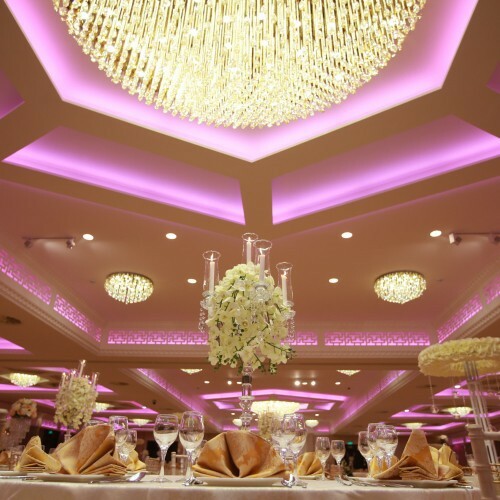 So if you are looking to hire a wedding hall for a big Indian wedding, Grand Sapphire is your best choice. Availability: Grand Sapphire is available 24 hours a day seven days a week, if you are booking for a wedding visit website to check availability and rates. There have been 0 reviews of Grand Sapphire. If you would like to send Grand Sapphire a booking enquiry, please fill in the form below and click 'send'. Perhaps some of the following halls within 5 miles of Grand Sapphire would also be of interest?